There’s no place like home when it’s time for bed. When Bear can’t sleep, he goes on an adventure and discovers the wonders of New York City—a parade, Central Park, hot dogs, and more! But when he finally gets tired and looks for a place to rest . . . he learns why it’s called the city that never sleeps. What’s a bear to do? 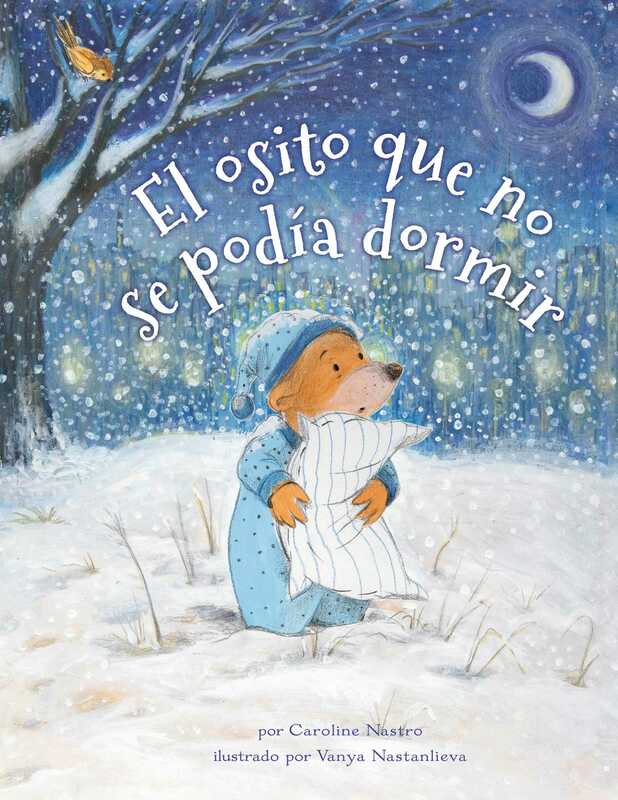 Caroline Nastro’s gentle adventure and Vanya Nastanlieva’s engaging illustrations, available now in Spanish, are sure to comfort and delight! Caroline Nastro studied theater and literature at the Université de Paris-Sorbonne, Yale School of Drama, and Stanford University. She is an award-winning playwright, screenwriter, and theater director. This is her first picture book. Vanya Nastanlieva was born in 1979 and grew up in Bulgaria. She studied textiles and fashion before getting a BA in Book and Graphic Design from the National Academy of Art in Sofia, Bulgaria. She received her MA in Children's Book Illustration from Cambridge School of Art, England. She currently lives in Cambridge, England, with her husband, Martin, and a little daughter, Aleksandra. This is her first book for NorthSouth Books.